My Bumpy Road Through “Hollywood” — MOVIES IN A BAD ECONOMY | Michael R. Barnard's Thoughts & Discussions. You know that your favorite movies, and even ones you don’t like, exist in an uneasy alliance of art and commerce. Movies have the potential to be both emotionally and financially powerful; sometimes one, sometimes the other, sometimes both. They brew in a caldron of artistic expression, profit potential, and career possibilities. Some movies find life solely because of demand for profit, and some find life solely because of someone’s passion for storytelling. Some come together for any number of reasons between those two ends of the spectrum. Other forms of artistic endeavors also have this potential for emotional and financial reward — books and fine art, for example — but movies have a unique position because of their collaborative nature. The movies we love, the ones that touch our lives, require dozens of artists and craftspeople and businesspeople in order to be brought into existence. The artist’s interest might be only their personal expression; the craftsperson’s interest might be only the job and wages; the businessperson’s interest might be only the potential for profit. Sometimes, though, a movie project comes along that generates passion and excitement for all of these types of people for reasons that exceed their own self-interests. The independent Western feature film project NATE AND KELLY is such a project. Because the indie film business has taken a hard hit from the bad economy, worse than many other sectors, NATE AND KELLY is a non-financed micro-budget theatrical feature film project. It’s a ‘million-dollar movie’ being made for pennies. The artists, craftspeople, and businesspeople have rallied around this project and realized, “It’s either make it happen however we can, or we all just go home and sit.” And people in the movie business are getting tired of sitting around waiting for something good to happen. According to Steve Pond in the industry trade news source THE WRAP (“Producers Bemoan New Hollywood Realities”), producing a movie was never easy, and now it’s getting even harder. Film people know the cold realities of making a great movie in today’s climate: things have changed for the worse, studios are harder to deal with than they used to be, money is very scarce, nobody wants the risks of original ideas. Indie filmmakers, though, are lucky in a way. For independent movies, what used to require a production budget of a couple million dollars just a couple years ago is now possible on a production budget of perhaps $250,000. This is because of the incredible advances in filmmaking technology, the very tight economy, and, frankly, dearth of investors. Jeff Steele, a Hollywood wizard at funding independent movies, explains on his blog that films under $2 million are very tough to finance (“Why Films Under $2m Can’t Catch a Break”). Making one of the small, powerful movies that swept up audience emotions and changed people’s lives is just not going to happen these days if they wait for funds for their “real” production budgets. So what is a passionate filmmaker artist supposed to do? Make a great movie anyway. This brings us back to NATE AND KELLY, a serious film project for all the right reasons. We are doing something quite rare with this independent feature film. A volunteer legal team for NATE AND KELLY is creating written deal memos and agreements that spell out “back-end remuneration” (that means, getting paid when the movie is finished and earns money) for the cast and crew and for the vendors. Why is this rare? Personally, I, like many others in the filmmaking community, have volunteered on at least a dozen movie projects — and when I had my camera, loaned it to filmmakers to help them — without any of them giving me more than the common and silly verbal promise about generic “somedays…” that never came. I have no regrets about volunteering; I went in knowing what I was doing. However, that is not what we are doing with NATE AND KELLY. We are not making empty, frivolous promises. We are backing up clearly calculated estimates with written agreements. We are also going into production with production insurance and protection for the people. Oddly, in this regard, the only difference between NATE AND KELLY and a studio film is that studios have ca$h and we don’t. The NATE AND KELLY team is fully aware of what will happen if we pull together and make a great movie that earns money. This is the very best I can come up with in a world where the only movie investment money goes to sequels, comic books, and cheap slasher films. Investors are scared and run from original, powerful, creative concepts … such as, the script for NATE AND KELLY. NATE AND KELLY is a powerful and moving story about society, how technological progress races forward but human nature progresses very slowly and painfully … and even backs up sometimes. This is a love story woven into historical facts. It is set in the year 1915. In 1915, the times were not unlike the times now. The “Industrial Revolution” of a century ago caused a lot of turmoil for common folks in rural areas. The move to machines and cities caused fear, anxiety, and anger. Farms were failing. Jobs were fleeing. Homes were lost. People were afraid, and that led to anger about the rapid changes that were occurring. 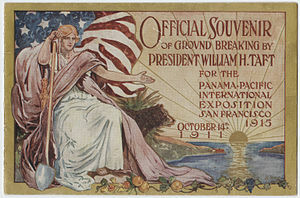 A dramatic emblem of how the cities were flourishing was the Panama Pacific International Exposition of 1915 in San Francisco. The city had gone all-out to build a fantastic worlds fair to celebrate not only the opening of the Panama Canal, which tied the two oceans together, but also to celebrate the resurgence of the beautiful city itself after its near total-destruction from the earthquake of 1906. On the other hand, the dramatic emblem of fear and rage among common folks in the rural areas was the resurgence of the Ku Klux Klan after it had been dormant for decades. People were angry, they wanted things to be “the way they were,” and they wanted targets for their rage. Demagogues enriched themselves by driving people to their worst behavior against fellow human beings who were different in any way. They convinced the common folks that times were better in the old days. They painted simple targets, people they blamed for our woes. The people clamored for a return to the past, they refused to believe that the current times held any promise for them, and they were afraid of the future. This most base human behavior, of course, has repeated itself frequently throughout all of civilization. It’s the behavior that spawns wars, including two world wars. It’s the behavior that destroys lives because of racial hatred. It’s the behavior that crushes the unfortunate because of fear that they might encroach upon those clinging to their successes. It’s the behavior that eliminates social and economic opportunities for anyone who is different. It’s the behavior demagogues always manipulate for their own enrichment. The powerful story of NATE AND KELLY is that even in the midst of times like these, there is always the spark of love and hope between two people. This powerful script has touched filmmaking professionals, and they have committed to bringing NATE AND KELLY to theaters for audiences to experience. Talented filmmaking professionals, tired of the economy stopping almost everything, have come forward to make this a great movie. Actors and crew, a director of photography, a casting director, a script supervisor, a composer, and other craftspeople and artists are eager to make this a great movie. People with a large ranch, a century-old railroad, a town with 1915-era buildings, antique automobiles, horses, and other resources are also catching the vision and committing to NATE AND KELLY. We are making amazing progress. NATE AND KELLY is a “beg-borrow-steal” production of the highest quality, driven by the desire to create something grand regardless of the lack of investors. Its success will be because it is a lean-and-mean production by people destined to make a great movie. Of course, any theatrical feature film production, even with these generous contributions of talent, resources, and locations, still requires a lot of cash for expenses that cannot be handled any other way. The feature film needs to raise more than $22,500 in order to go into full production of the movie. As with cast, crew, and vendors who are contributing, donors who contribute to the production through the crowdfunding project will also receive recognition and rewards for their contributions. The crowdfunding project for NATE AND KELLY begins this week on Kickstarter.com and continues for just three weeks, during which it must raise at least $22,500. If people do not see the vision and fail to come forward with the full amount of cash, the movie dies. You can be a critical part of making a movie that your family and friends will be inspired by and talking about for years to come. Please step up to create a powerful movie.